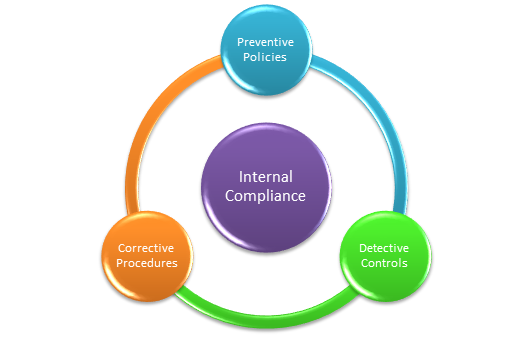 Compliance is nothing but following rules and regulations made by several legal authorities. Sometimes, it is very difficult to follow each law and act according to it but not obeying those laws may also result in missing various opportunities that come along. Simple examples of compliance include obtaining a business license in your town and paying your taxes on time. Businesses are not only required to obey the external laws and rules but also it should follow internally designed business policies for the betterment of the business. 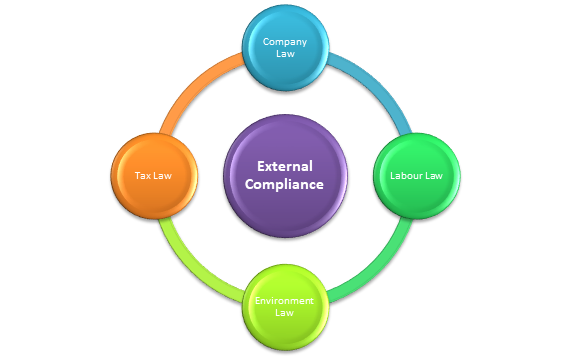 Requirement for compliance increases with as the businesses grow. So, the businesses should also keep changing compliance procedures along with the changes in the external and internal environments. This will help them grow smoothly without any intervention from regulatory authorities. Requirement to obey legal laws and follow company policies may vary from business to business. Following and acting responsibly in the legal and ethical environment can add value to the organization and which in turn will save a lot of time, effort and cost. Employees have a tendency to switch the workplace if they find any complaints or issues working in the present environment. With an effective internal compliance where there is safety, employee benefits and compensations, a positive work environment is developed. This positive work environment attracts the employees to work and add to the value of the business. No business wants to suffer the results of not complying with various laws and legislations. Complying with those laws will decrease the risk of fines, penalties, lawsuits or also shutdown of the business. There are so many regulations related to how employees should be managed, how products should be manufactured, how buying and selling should be done, how the business should contribute to the society, etc. Obeying them all is the great challenge but if achieved, reward is reduced fines or penalties and greater market share. The business which follows all the rules and regulations and also has strict internal policies have a competitive advantage over those businesses which have not complied with the requirements timely. Government authorities, stakeholders, employees and customers are attracted to such businesses which strictly follow the compliance and prevent any kind of improper and unethical behaviour. The success of the business depends a lot on its public image. When an organisation starts facing court cases or any government interventions, the market or customers start losing trust in it and this will lead to a negative financial impact. Compliance will ensure that a company maintains its public relations and holds a positive image. An example to internal compliance is when the accounts departments follows the company’s policy and reconcilies cash and bank accounts at the end of every month and reports to the internal auditor. An example to external compliance is when statutory audit of the company is done by the due date provided by the companies act. Analysis is all about finding problems rather than solutions. One can examine data and facts in depth to understand the issues and then provide the basis for problem solving or decision making. 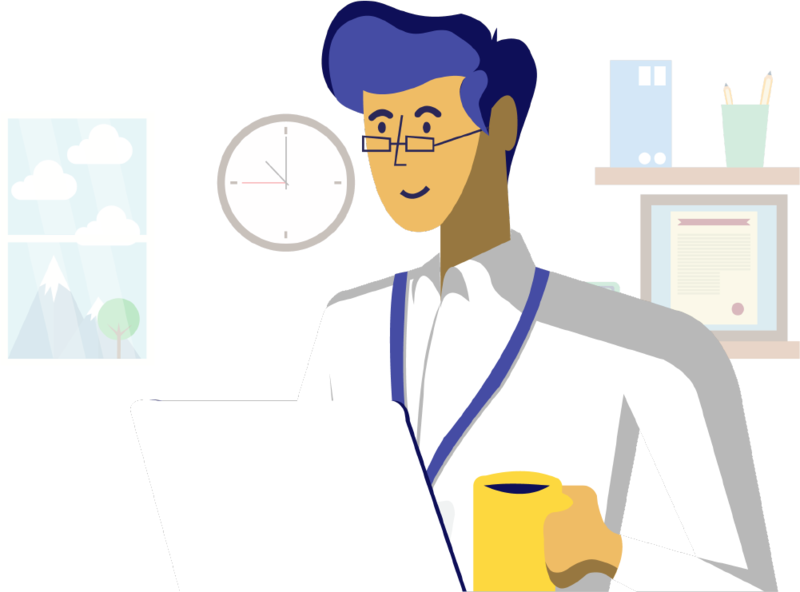 In its business terms, analysis involves communicating complex technical details in easy-to-understand language to stakeholders and employees. Every business has its own goals and objectives to achieve which is only possible if the businesses are able to analyse different aspects of businesses in detail. Analysis of different aspects are required to measure the effect of any negative impact. Every business small or big requires a 360-degree evaluation of all areas to know the core and non-core areas. This analysis of core and non-core areas will help the organization to invest adequate amount of resources and help the businesses to achieve long term objectives and goals. In general terms, businesses should analyze their cost, performance of the employees over different years and departments, performance of the products in the market, their cash movements and many other areas and focus on significant areas to achieve their long term goals. Under Pareto Analysis,if we do an analysis of how profitable each of our customers are. Often, the results will surprise you, because the biggest customers can often be less profitable than thought. This analysis will help to achieve the profitability goals. E-form MR-2 needs to be filed for seeking Central Government approval for the appointment of managing director/whole time director/manager. Read more here. Form AOC 4 is used by the companies to file the financial statements for each financial year with the Registrar of Companies ( ROC ). Read more here. Form ADT 1 is used by a company to intimate the registrar of companies about the appointment of an auditor after the completion of its AGM. Read more here. Job work is the outsourcing of activities by the principal manufacturer. The income received by a job worker will usually be liable to different taxes. The National Financial Reporting Authority is a body constituted under section 132 of the Companies Act, 2013 and is effective since 1st October 2018. Banglabhumi is an online web portal for land records and reforms launched by the Government of West Bengal. Read more about this portal here. The ICAI has developed a method of securing the documents issued by a Chartered Accountant by issuing a UDIN. Read here to know more. Managerial remuneration is the money or its equivalent paid to the managerial person for services rendered by him/her. This also includes perquisites. Read on to know the limits and provisions for this. Management accounting is presentation of analysis of business activities to the internal management to facilitate decision making. Read this article to know more . A concise guide of the penalties in case of misrepresentation, mismanagement and fraud under Companies Act, 2013. Non-compliance of guidelines under Companies act, 2013 may attract penalties. This is the second part to the penalties after incorporation of companies. While winding up of a company, if its agents fail to comply with the rules and regulation they can be held civilly or criminally liable. Read this article to know more about the penalties. The Companies Act, 2013 may attract penalties in can of non-compliance of rules and guidelines during the incorporation of a company. The Property Guideline value is used in making purchase decisions regarding a particular property and further for its registration as well. Read here to know more about this, its effects and importance. Other Comprehensive Income refers to items of income and expenses that are not recognized as a part of the profit and loss account. These need to be disclosed in its own way. To know more about this income and its disclosure, read here. Banking ombudsman is an authority formed to resolve the complaints customers of banks have. Read on here to know what remedies are available if you have complaints against your bank. An Income Certificate is a document issued by an authority of the State Government certifying the annual income of a person or his family from all sources. Understand more about this here. Bureau Of Indian Standards (BIS) lays down standards (Indian Standards) with regard to the quality and safety of the goods. Those products which adhere to the standards mentioned by BIS are considered certified. Read here to know why is it important to know about BIS and its standards. Building and preserving a good CIBIL score isn’t a rocket science, however, people tend to mess up their credit usage which does a substantial harm to CIBIL score. Read more about CIBIL, its products and most importantly how to obtain and maintain a good CIBIL score here. A manufacturing unit that can differentiate its processes and also produces a standard product usually uses process costing method to determine cost of production. Read more about this method here. NPV (Net present value) is the difference between the present value of cash inflows and outflows discounted at a specific rate. Read about the advantages and limitations of NPV here. Trade License, one of the important documents to start a business. Read this article to know everything about the trade license and its renewal. The Food Security Act 2013 aims at fulfilling the nutritional requirements of the State via the methods such as Public Distribution Systems, Midday meals and Integrated Child development services. Ration card is a document issued by the Government that an identity proof and also indicates an individual’s economic status. ICEGATE is an online portal which offers e-filing services to trade and cargo carriers and such other clients of the Customs & Central Excise Department. Know more about this portal here. All you need to know about the SANKALP scheme and the how it impacts the vocational training sector. Maa Bhoomi is an initiative by the Telangana Government for digitizing the land records system. The RUN is a new online form created specifically for streamlining the process of reserving a company name. Cost Accounting is a method of accounting that considers all costs involved in performing any process, project or product. These costs are noted and analyzed to take strategic decisions. Read more about this method of accounting here. All companies have to file their Annual returns in Form MGT-7. The last date to do so is generally the 29th of November every year. Read here to know about its contents and consequences for non-filing on time. Total Quality Management is defined as a customer-oriented process and aims for continuous improvement of business operations. Know more about TQM here. Break-even analysis is useful in studying the relation between the variable cost, fixed cost and revenue. Generally, a company with low fixed costs will have a low break-even point of sale. Read here for a detailed understanding. Most of the companies are concerned with business planning and meeting their financial commitments. Ultimately all want growth. Analysis of Variances from the budget is one of the ways to keep a check on the performance of the company. To know about what Variance analysis is, read here.